I cant believe it’s time for bed on Sunday night already. The weekend has flown by. 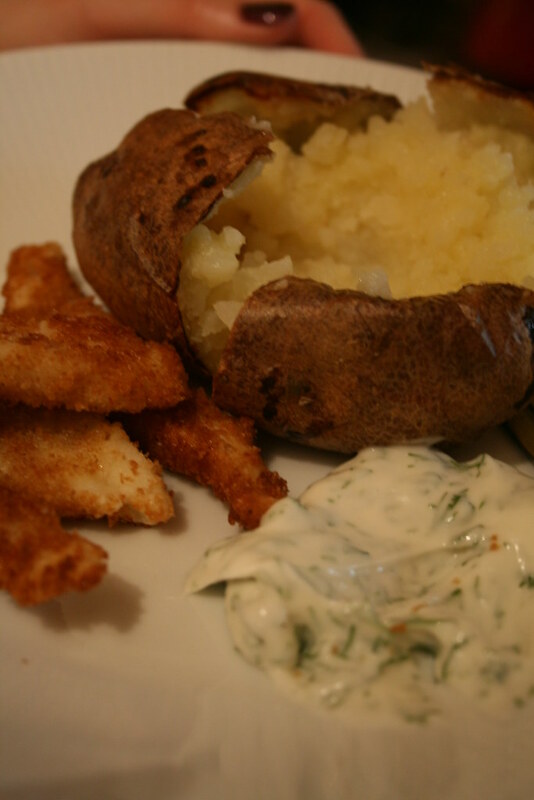 On Friday evening a made a rather enjoyable dinner of sole goujons with dill mayonnaise and a buttery jacket potato. 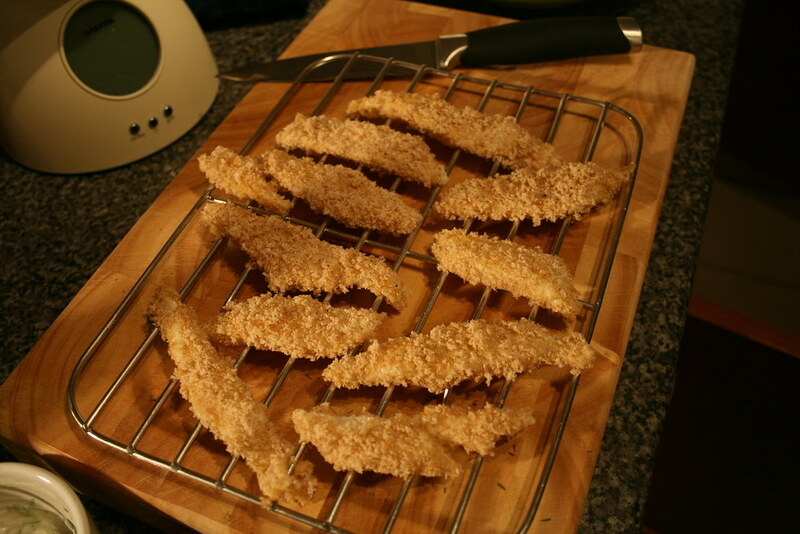 It was surprisinglyeasy to make – the sole goujon recipe is from Nigella Express. On Saturday evening we ate out at Est Est Est at the Albert Dock. We had reasonably high expectations as we spent 06/07 New Year’s Eve there & it was really nice. Unfortunately last night the staff & food let the lovely surroundings down. My porcini risotto was a very small portion, in the largest ever bowl & Hubby’s pizza came covered in mushrooms – which it did not mention on the menu but we were out for a friends birthday & having everyone together was really nice. Afterwards we just about managed to grab a seat at the Pump House pub as we seemed to finish the meal at the same time as Ringo & Co. who had officially opened the Liverpool Echo Arena next door.